Bag from Telfar. 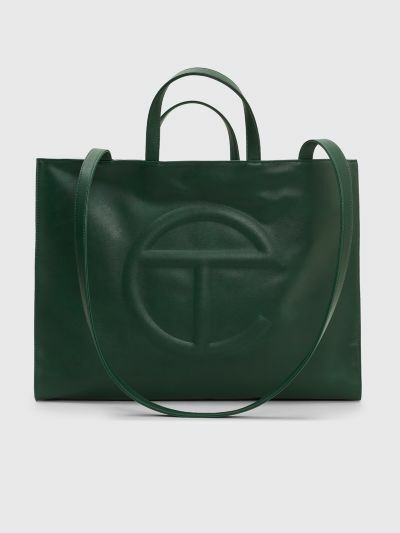 Large shopping bag with tonal top stitches and embossed logo on the front. Fullt lined and features one inner pocket and a magnetic button closure. 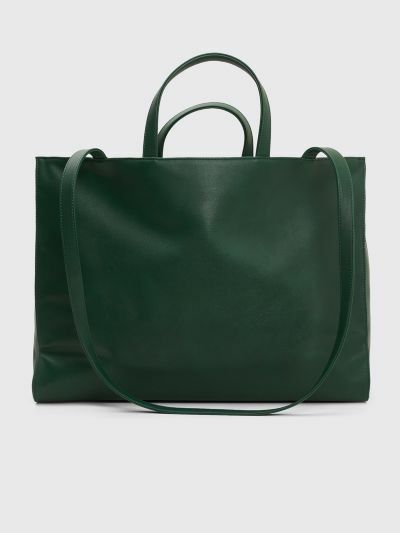 Dark green bag. 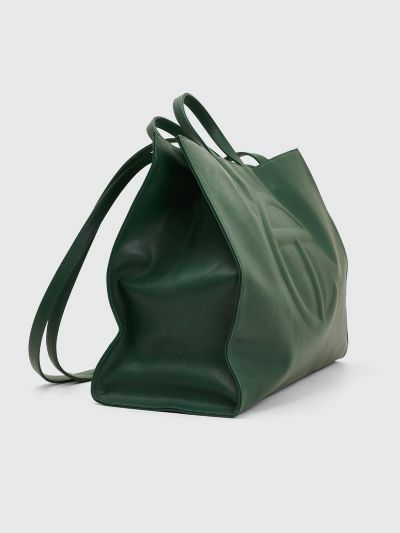 Made from 100% synthetic vegan leather. Measures 20 x 37 x 49,5 centimeter. Top handle drop measures 20 centimeters. 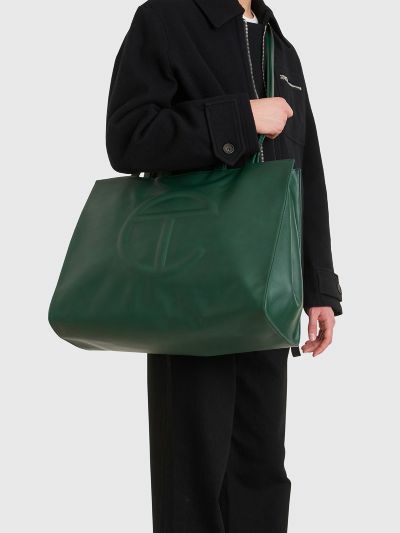 Shoulder strap drop measures 51 centimeters.